The perfect bead of color drops gracefully from your ear and creates a simple yet elegant look. 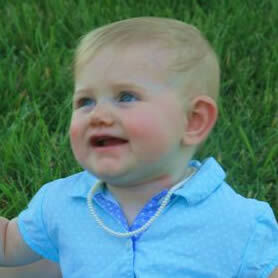 Choose from our copper, white, blue or black shell pearls to compliment your own special look. Wearing a pair of our triple drop earrings will create the look of lengthening your neck, and add instant elegance to your outfit. This simple design is graceful and classic. 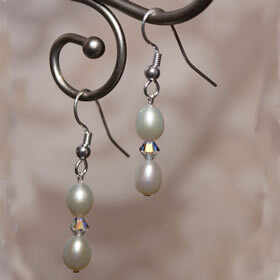 Two freshwater pearls hang elegantly on these earrings. Use them to add just a touch more color to any outfit. Want a tiny bit of bling? Our double drop white pearl with one Swarovski crystal is perfect! 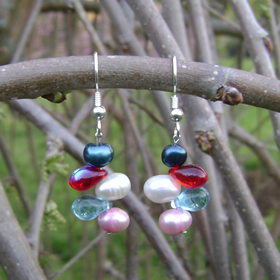 Our Confetti earrings combine freshwater pearls and Czech glass beads in a five drop style. A wonderful fun look for any age and any outfit! How to choose pearl earrings that will look great on you. When chosen correctly, pearl earrings will illuminate your face and complete your fashion look. Here are a few basic rules about how to successfully choose pearl earrings that will be complimentary to you. The shape of your earrings should balance the shape of your face; not replicate it. If you have short hair: Long drop pearl earrings look fabulous and will make your short haircut look ultra feminine. 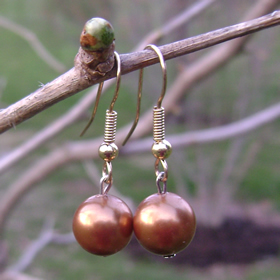 If you have long or mid-length hair: Small pearl drop earrings will work well for you. Avoid wearing earrings that are longer in length, as they can make your face appear too elongated. If you wear your hair in a ponytail or bun: Long drop pearl earrings are the ones for you! Women who are petite in stature should avoid very long pearl drop earrings, as they can give the appearance of shortening your silhouette. The same is true for women who have shorter necks. 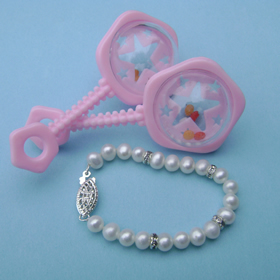 Avoid wearing the very long pearl drop earrings as they can make you appear short and blocky. If you love to wear large pearl earrings then do not wear a necklace. Just wear them on their own and let them shine! 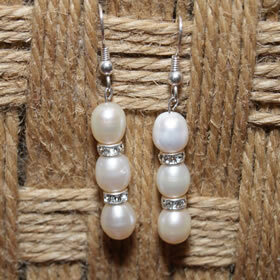 For the brides: if your wedding dress has a lot of detail on it, then a pair of pearl earrings is all you will need. A necklace is probably not necessary. 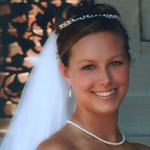 Please see our brides section for more details on how to choose pearls for your wedding day attire. Should I wear the lever back design earring or the shepherd hook design? 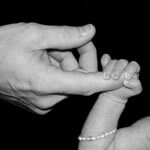 This decision is a matter of preference. Whatever makes you feel comfortable is the correct choice. Whether it is a single pearl drop or multiple pearl drop earring, wearing pearl earrings is the ultimate classy look in fashion and always will be. 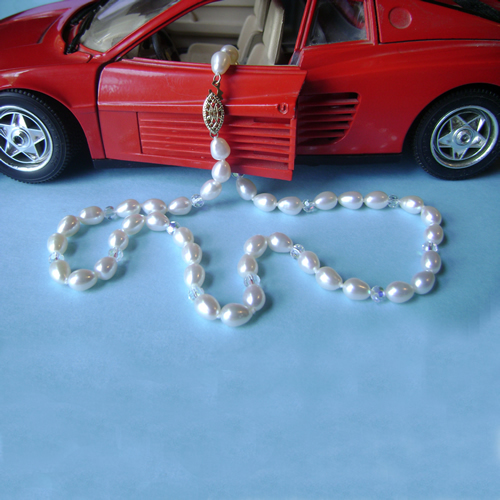 I would say that 95% of ladies that purchase my pearl necklaces ask to have matching earrings made for them. So choosing the right earring size is important. When you order from Lynne's Pearls and wish to order matching earrings just call me or email me if you need advice about which design to choose. Not all ladies have pierced ears, but don't worry. I can design your earrings using the clip-on styles.